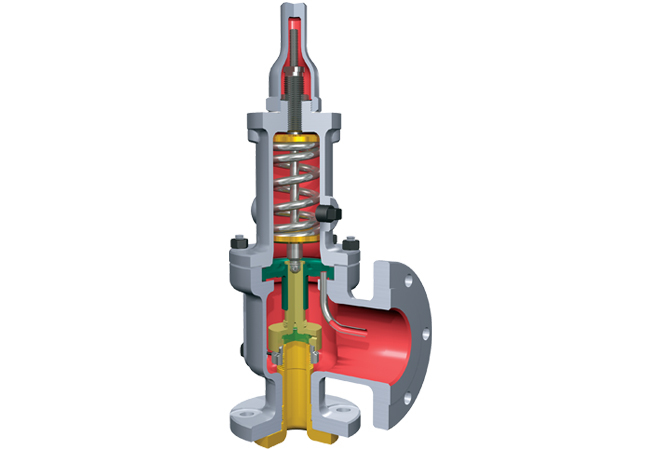 Pressure relief valves, control valves, compressors and rotating equipment are constantly subjected to changing operating, process and mechanical conditions that affect performance. Because these assets frequently operate silently over the course of years and help protect millions of dollars worth of energy and process, seemingly minor PM improvements can lead to sizeable savings. What happens when you don’t know what’s in the plant? At first glance, this may seem a ridiculous question. However, especially in the case of pressure relief devices, lost paperwork, obsolescence issues, undocumented field changes/alterations, unidentifiable parts and misplaced assets all lead to invalid data that can corrupt a database. Determining “what’s out there” for evaluation and tracking is crucial if PRD analysis is to have a positive impact. This requires that plant personnel investigate the root cause of failures and consistantly monitor the condition of PRD’s so that trends can be identified. Unfortunately, many plants have not kept sufficient records to develop a statistical baseline. For these reasons, asset management systems are offering new approaches to determine trends and patterns of asset parameters that can help forecast possible failure. Build failure analysis data by tracking repair history. Extend/adjust repair intervals based on failure analysis. Provide real-time awareness of wear parts, deterioration, corrosion and malfunctions. Save time, energy and money through asset optimization. By gathering valid asset data and loading it into a real time tracking system, plant personnel have the ability to manage proactively rather than reactively. The focus on and importance of information in management, operations, maintenance and repair makes data acquisition the motor that drives the need for processing and distributing information. With a 97% or higher accuracy rate of asset data established (which is achievable), we can create a Preventative / Predictive Maintenance Program based on the current, valid information. Preventative/Predictive maintenance doesn’t fix anything, it only identifies potential failures or problems early so that right action can be taken. Identifying problems early can increase reliability and runtime at the lowest costs as long as there is follow through on the corrective actions. Plants that tend to lean on reliability instead of maintenance may take corrective actions to another level: The equipment might not be failing; rather, it may not be operating at the standard that it was expected to. Under this scenario, a PM program’s emphesis will shift from maintenance to plant efficiency. The PM program now takes into account equipment reliability and the birth to retirement cost of each asset. If implemented correctly, it’s a never ending story. The initial challenge that looms largest is the cost to get started. Based on the condition and recent changes in the economy, predictive maintenance and training are usually the first to be cast aside. Those with the ability to look ahead, however, will realize that predictive maintenance plays an even larger role in a recession, based on reliability affecting the bottom line. Optimizing production and reducing the duration and total number of outages through a sound PM program will have a positive influence on revenue and profits. By spending a relatively small amount on the front end to shore up data accuracy and reliability, you can effectively reduce costs in the long run. Our valve shop is a “VR” certified repair facility. We subscribe and adhere to ASME and NBIC code requirements and are audited every three years to maintain and insure that our shop complies and meets those requirements. We have developed and implemented a 4 ½ year apprenticeship model, assuring that our employees are trained in accordance with the guidelines and philosophies established by the company. We pick-up your valve at your facility and our driver confirms your paperwork matches the valve tag information. The valve information is entered into our test computer system. We pretest your valve to determine the “As Found Condition” and then your valve is completely disassembled. All of the parts are segregated and thoroughly cleaned. All of the parts are inspected. Dimensions are checked against factory specifications. Machining and lapping of the disc and nozzle. Your valve is now ready for assembly. After assembly we test each valve 3 times to confirm the set pressure. Painted, the valve tags and seals are installed. The Supervisor inspects the finished valve and confirms the test results with the work order. The valve is loaded and the driver checks the paperwork one last time before delivery. At the heart of the repair effort is our proprietary Asset Management System software. This is a web based, real time native windows application that allows both the customer and the technician access to live data in a real time environment; everyone sees the same thing at the same time. 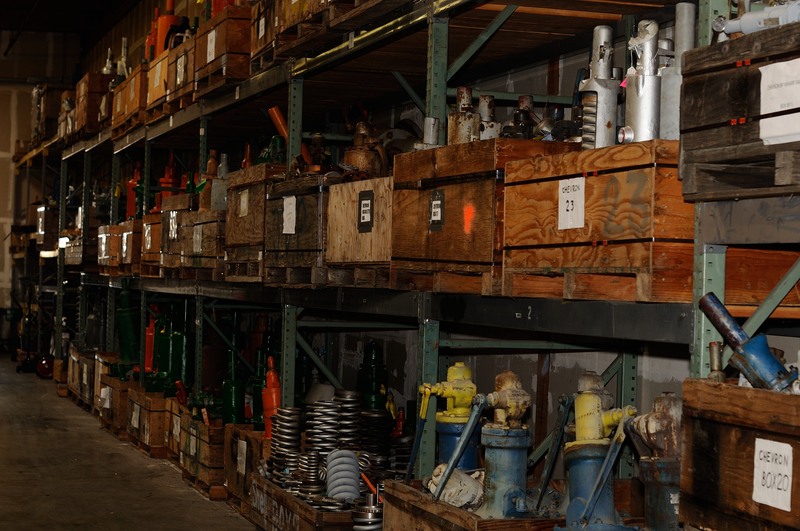 Some of the typical types of assets that pass through our shop include: safety valves, safety relief valves, relief valves, pilot operated valves, control valves, breather/vacuum valves, sight glasses, and gauges. We have multiple test stands in our facility, including a high pressure test stand (good to 6000psig air/water) and a 1635psig electric boiler that we use to test valves in steam service. We have also added a hydrocarbon free oxygen clean room to accommodate the growing need for fast, reliable O2 service cleaning. Our clean room meets or exceeds the industry standard specifications. We encourage your to stop by and tour our facility, meet our staff, and walk through our asset manager system (SAMS). Our current customer base has provided valuable feedback concerning all aspects of safety relief valve service. One of the common questions revolves around the repair interval. Basically, the question is: How can we have our valves repaired and ready to install while avoiding the “shelf time” counting against the interval time while the valve is waiting to be used? Once the valve(s) are tested and installed, the removed valves are palletized (if necessary) and ready for pick up. Swan picks up the valves and brings them back to the shop located in Benicia, CA. Once the valves arrive at the shop, they are pre-tested to determine “as found” condition. The valves are then repaired and stored in our dedicated spare pool warehouse. When the valve is needed, it is then final tested and tagged with that day’s date, thereby starting the interval period and maximizing run time. If we are given notice, we can have these valves to your location in a matter of hours. If it is an emergency, the job will be bumped to the front of the line and, again, we will have the valves on site in a matter of hours. This strategy has proven a cost effective and efficient way to solve this problem. Are you new to SAMS and would like to see it in action? We offer webinars to those interested in tracking their assets and repairs. We will guide you through the application. Do you repair your own assets and looking for something portable? We offer a stand-alone (offline) version of SAMS on a laptop. Use it to enter asset data, and even perform tests! Want to see how we use SAMS? Contact us and setup an appointment to come visit us. We will walk you through our shop, show you how SAMS plays a vital role in our operation. Copyright 2013 Swan Associates, Inc.